Thanks for the tip! I'll try this from now on and see how to works. 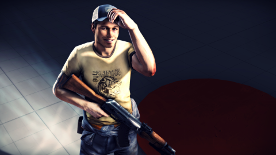 My current avatar, up close and pixely. The dark blue, mirrored version. 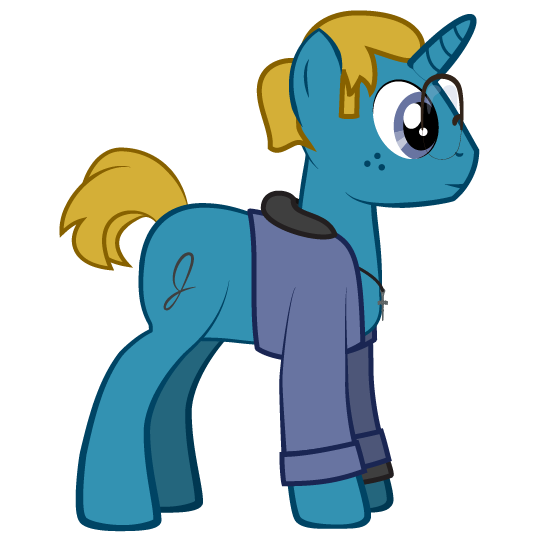 My previous avatar, which I essentially never finished. You can see the most green around the hand and egg area. Say hello to the Putrid Piranha, in all its glory WIP ugliness! 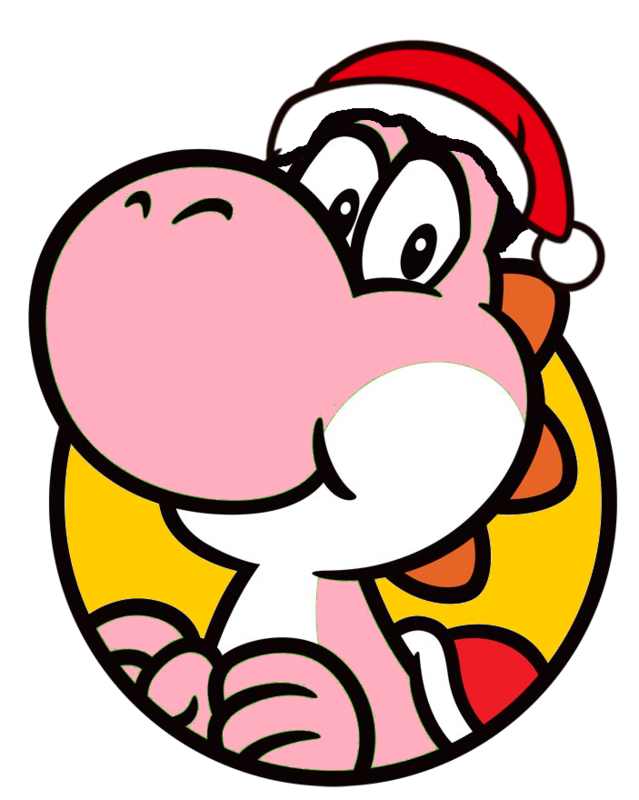 The Santa hat was ripped straight from the Santa Mario artwork I found on the Wiki. 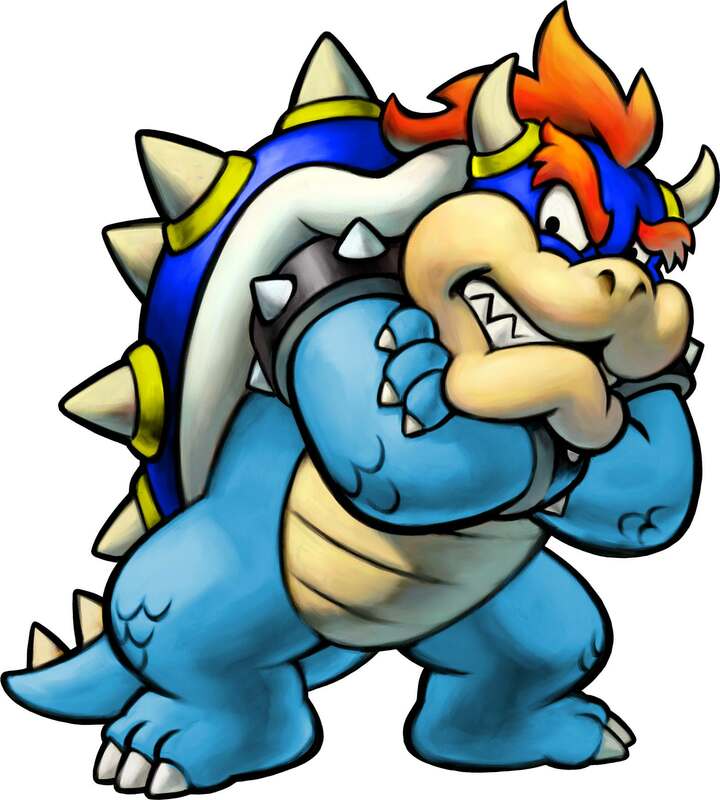 So after seeing the (awful; official, but awful) updated BIS artwork of Bowser, I changed the OG artwork into Bowser's supposed bro., whose definitely-creative-name happens to be...Blue Bowser. 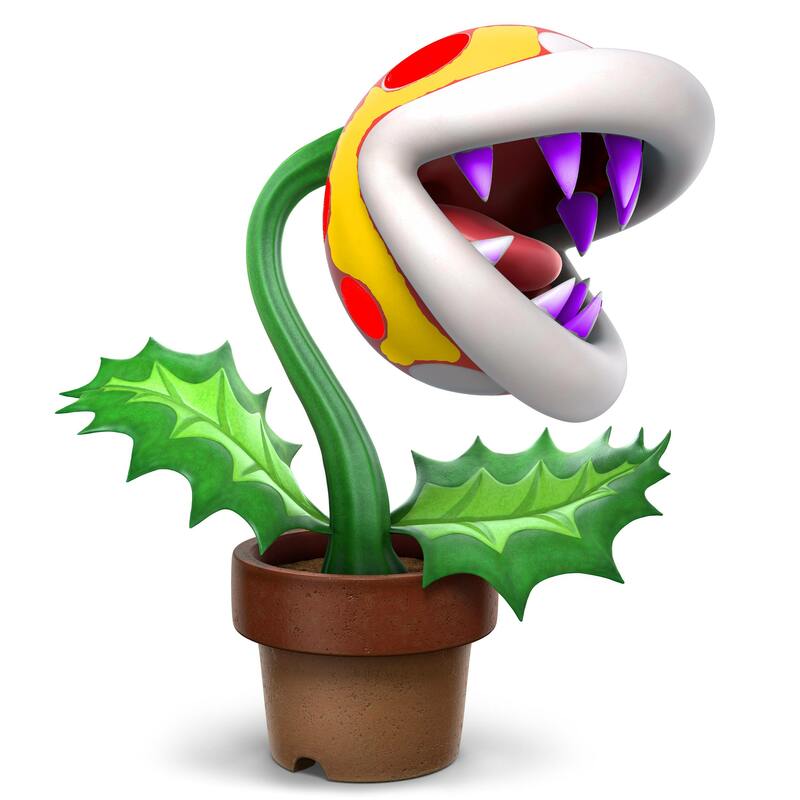 Colors are taken from the Sm4sh alt. art. 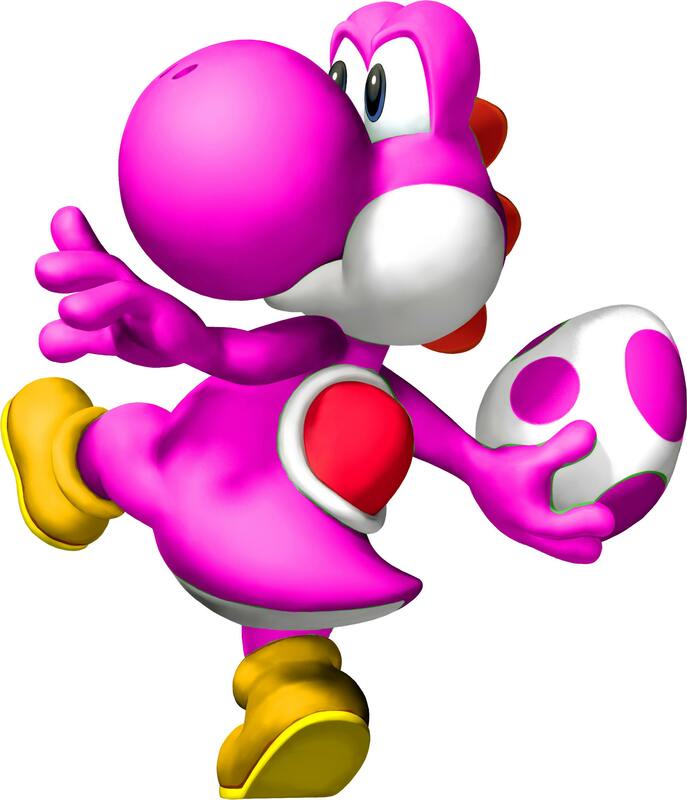 I decided to make up for pink Mario by making normal Mario! 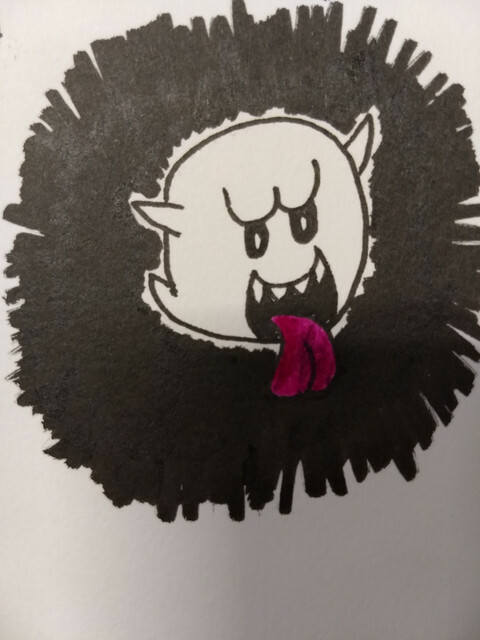 I used a thinner tipped pen for Mario's head. And also, yes, the left hand was intended to face that way. Now that I look at it I'm kinda put off. Otherwise, I'm happy with how it turned out. For those unfamiliar with the comic series Peanuts, this is one strange site. For those familiar...actually this is a strange site. 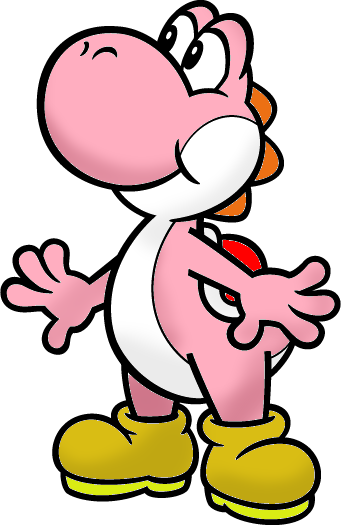 This is Yoshi looking at the bird Woodstock, very confused as to why this little yellow bird has landed on his nose. I haven't taken LGM's advice to heart yet (because I forgot to write it down XD), but I hope you enjoy these! Tell me any advice, criticism, or just plain comments about it. I know how it feels to draw hands and fingers Moldo. Just as a lot of us do it and keep yapping, always try to either place yourself in front of a mirror and do a pose similar to the one you need to draw or just position your own hand in front of you to be able to know how to draw it right. 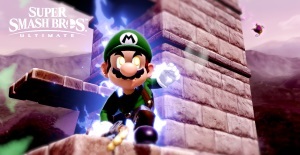 You could also use official artwork of Mario with his hand tilted that way, so that works too. The point is, and it has been said numerous times by many people on this forum, it's important to use reference. It does look pretty good, though, nice work! 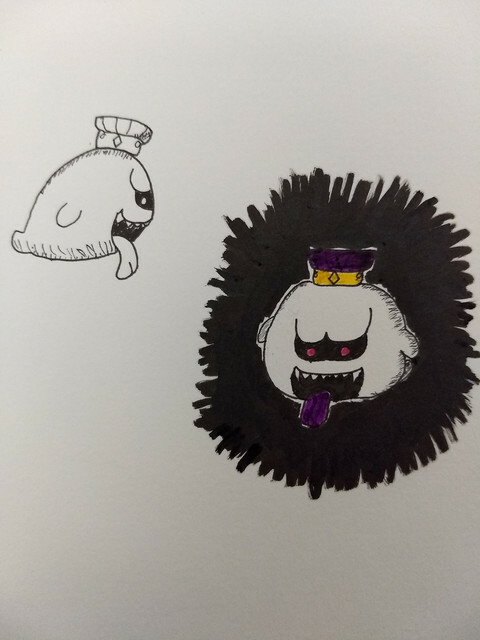 ...and King Boo's servant, a loyal Boo! 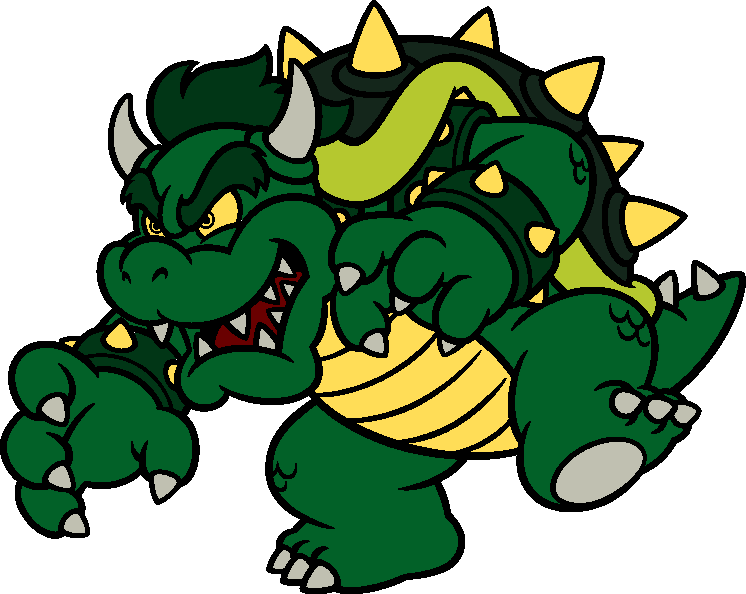 I'm fiddling with some official Mario artwork in an attempt to revitalize my art thread. I got the (basically) right Pink color! Compare the two pics above (the bottom one isn't mine, obviously)! Just so you know, comments and/or criticisms are always welcome. Yeah, the egg came out weird. 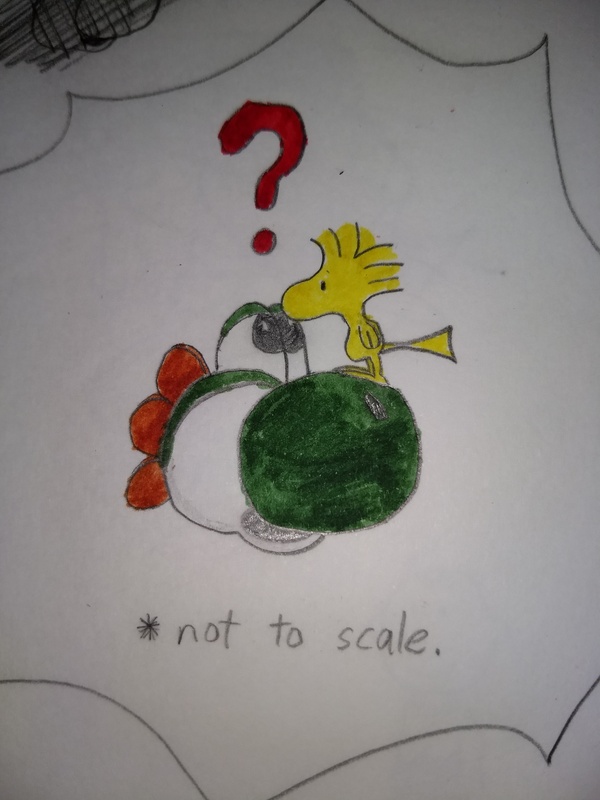 It isn't supposed to to look fuzzy, like the Yoshi. 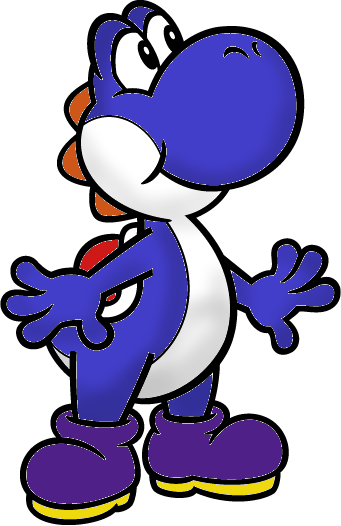 Mario's ears are tinnny. 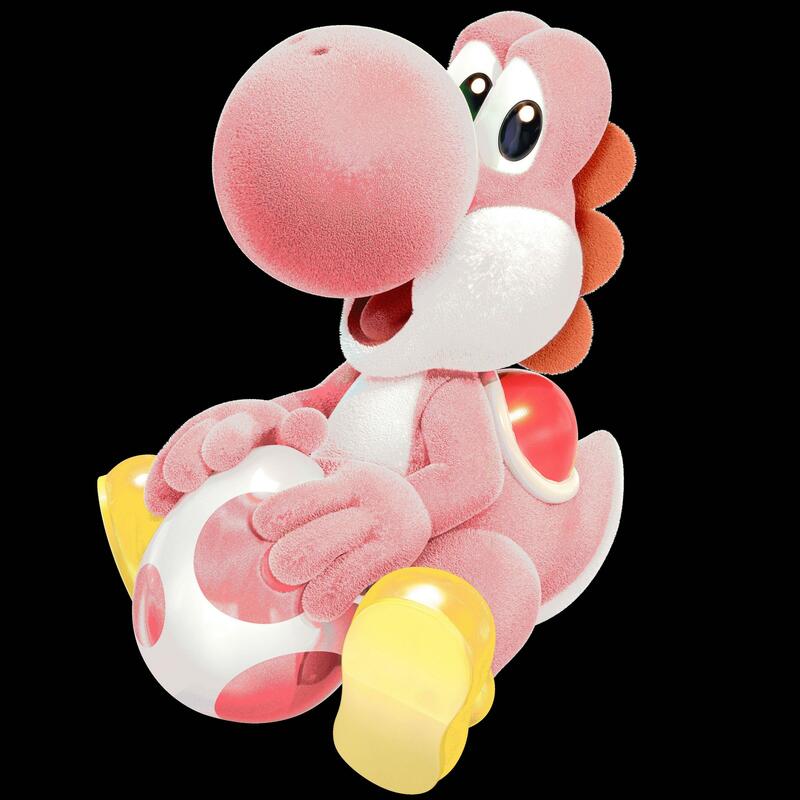 Remember, they're a little taller than they are wide, and if you look at a picture of Mario, top of the ears correspond with the top of the eyes, bottom of the ears correspond with the bottom of the nose. Also, since you're doing perspective, less of the left side should show, so you shouldn't be seeing the hair, and the ears should either be not visible or just barely visible. Overalls wrap around the body, so just draw a curve where the red meets the blue, under the armpit, and have the overall straps curve over the shoulder too. 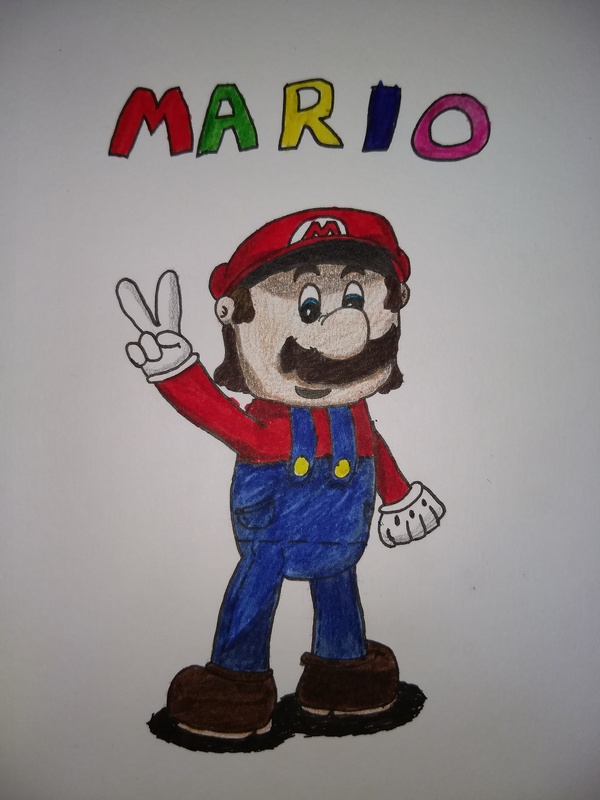 But this is pretty cute, I hope you draw more Marios! 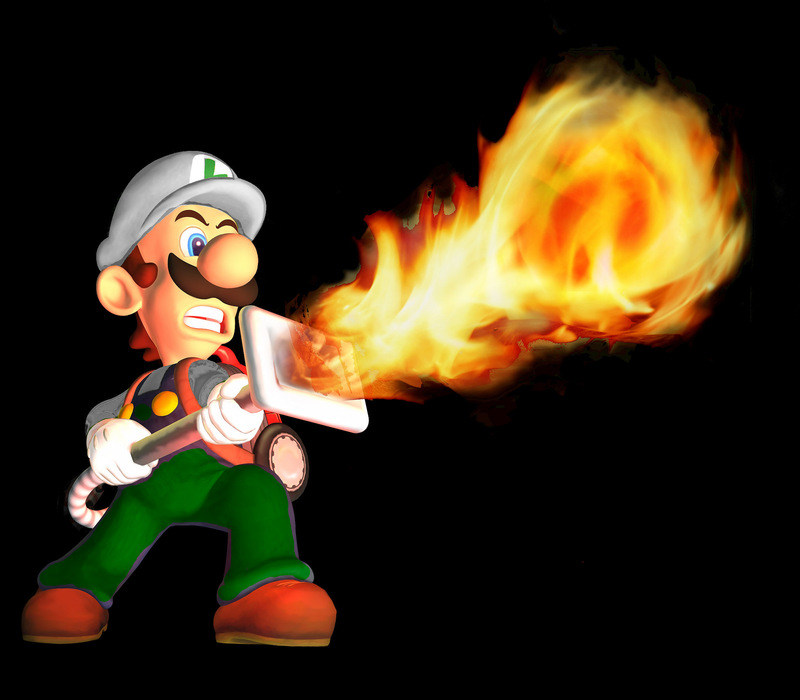 It never really was finished (apparent in the pants and left arm), but it's some Luigi's Mansion artwork recolored to be Fire Luigi. I have some other stuff but it'll have to be posted later. How did I forget to say this? I'm riding on your back!